To have a really effective and efficient management system an organization must not only focus on delivering quality to the customer on time, but also controling costs. Competitive advantage in the end will come down to cost. 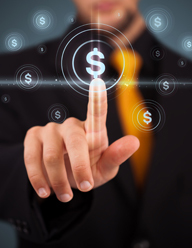 Cost of Quality is becoming a major factor in organizations’ drive to reduce costs. Cost of Quality compliments and works hand-in-glove with management systems such as ISO 9001. Contact Us today to find out how this could work for your organization. Many people are familiar with the term Cost of Quality (COQ) but don’t fully understand how it applies to them. Cost of Quality (COQ) is the cost of getting a product or process right. This is something EVERY organization or company struggles with whether they realize it or not. If every one of your products or processes comes out absolutely perfect every time then you’ve never experienced Cost of Quality. (You should also check your medication level because you are probably not perceiving reality accurately). No, Cost of Quality is a universal struggle. The key is understanding how to minimize it. The good news is that Eagle Force’s consultants can show you exactly how to do this within your organization. According to a survey over the last 40 years, in western companies quality costs account for between 5% and 40% of turnover. Once you realize how many resources are wasted on quality, it’s obvious to see this is a tremendous opportunity to save both time and money! Are you wasting time and money on Cost of Quality (COQ)? Does it take a while to see improvements? Does your organization struggle to maintain profitability? Does making changes in one area of the system cause the wheels to fall off of another part of the system? Are you running out of ideas on how to reduce quality-related costs? Do you feel like the information your current quality system provides isn't useful? If you answered "yes" to any or all of these questions, you're losing both time and money! Eagle Force has a proven and effective system that will drive your costs down while saving you time. Click here to learn more about how Eagle Force can help you define and reduce your Cost of Quality.